According to Murderous Maths, when Elvis Presley died in 1977, it’s estimated there were about 170 people impersonating him. This number grew and grew and in the year 2,000 it was estimated there were about 85,000 Elvis impersonators. And in 2043 that number is projected to be 9,447,645,907 ,which is roughly the projected poulation of the Earth. There’s been a big increase in celebrities creating (or planning on creating) podcasts in the last few weeks. Ralf Little, Susan Calman and David Tennant in just the last week. When podcasting first started in 2004 there were very few UK podcasters. Rowley Cutler did Dark Compass, Richard Vobes did the Vobes Show and Green Gragon (aka Martin Devaughn) did Bytesize Bonus. The first podcasts I heard were Tane Piper’s Tripcast Radio and Phil Coyne’s Bitjobs for the Masses, which inspired me to start PC Podcast. Thankfully Rowley and I are still around, and we were both part of the podcast “revolution” that Podshow|Mevio were going to mastermind, but which eventually closed, along with the Podsafe Music Network. After, what I consider to be a “low” period (2011 – 2016) when a lot of podcasting resources and podcasts closed down, leaving only the real enthusiasts|technicians to keep plodding away, we do seem to have a new resurgance. 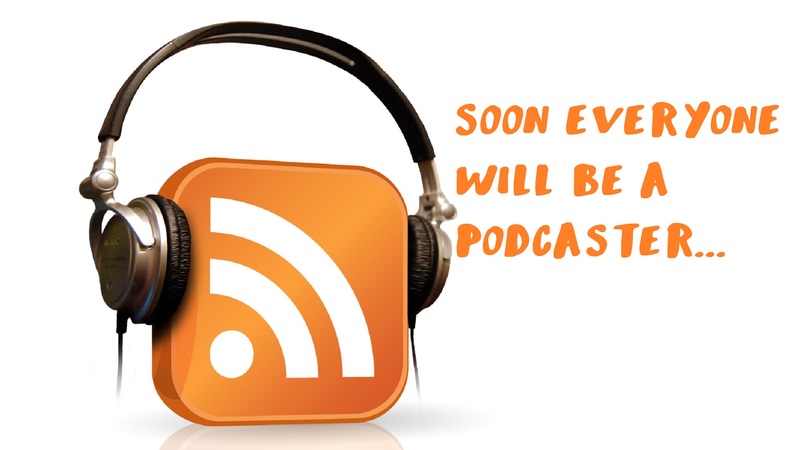 I’m not expecting this resurgance to mean everyone will be a Podcaster and an Elvis Impersonator, as that would be some repetative content, but lets hope this new wave will be interesting!